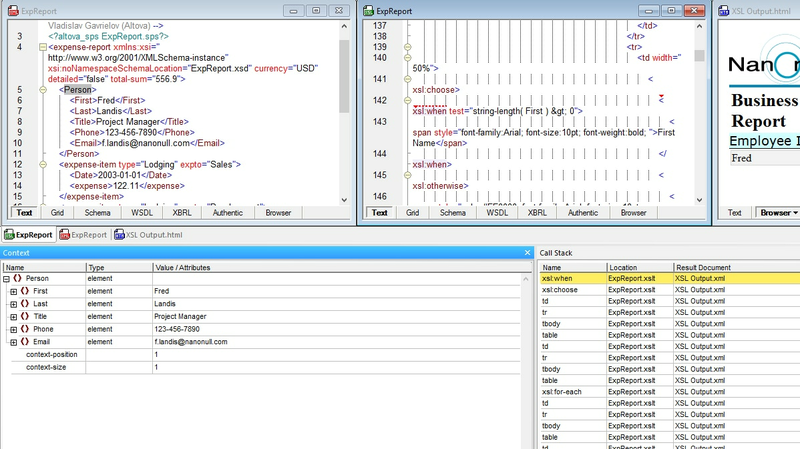 XMLSpy XML Editor is powered by RaptorXML® for lightning-fast validation and processing. RaptorXML is also available as a cross-platform server product to power your applications. Altova XMLSpy is the world's best selling XML editor for modeling, editing, transforming, and debugging XML and related technologies. 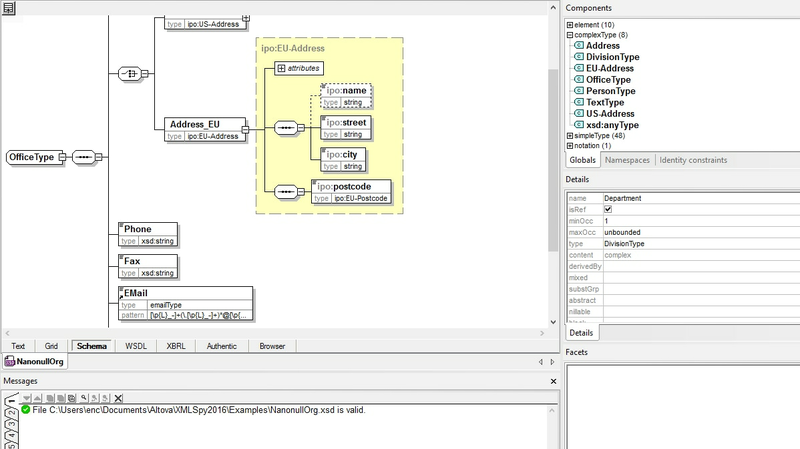 XMLSpy XML editor gives developers the tools they need to build the most sophisticated applications with its graphical schema designer, code generation, file converters, debuggers, and profilers for working with XSD, XSLT, XQuery, XBRL, JSON, and more. Developers need an XML editor that adds value beyond bracket matching and basic validation checking. Complementing the comprehensive feature set below, XMLSpy offers the patented SmartFix error correction, a revolutionary process that not only finds XML validation errors but also enumerates the possible corrections for fixing them, which you can choose to implement with one click. That's right - XMLSpy will make the corrections automatically, based on your selection. The XMLSpy XML Editor abstracts away the complexity of working with XML and related technologies through its intuitive user interface and rich variety of XML editing views and options. Whether you prefer to develop in a text-based or graphical XML viewer, XMLSpy provides intelligent XML editing guidance and entry-helpers as you type, and troubleshooting is fast and easy with the industry's most standards-conformant XML validator. As you work, the XML editor provides Smart Fix validation, a patented process that not only finds XML validation errors but also enumerates the possible corrections for fixing them, which you can choose to implement with one click. That's right - the XMLSpy XML validator will make the corrections automatically, based on your selection. Need to Learn XML Schema 1.1? 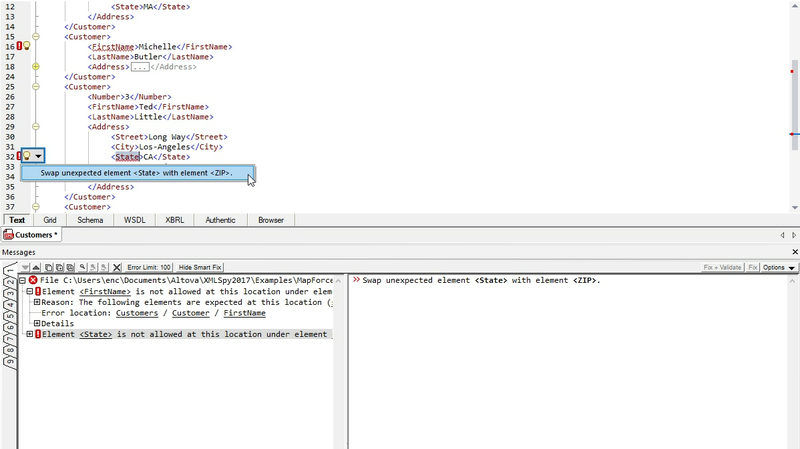 XMLSpy provides complete support for XSL and XSLT development in its XSLT editor with context-sensitive entry helpers, an XSL outline window, and more. For transformation, seamless integration with installed RaptorXML Servers delivers hyper-performance functionality coupled with strict conformance to W3C standards, including XSLT, XPath, and XQuery versions 1.0, 2.0, and 3.1. This allows you to take advantage of super-fast transformations during development and testing, all directly inside XMLSpy. 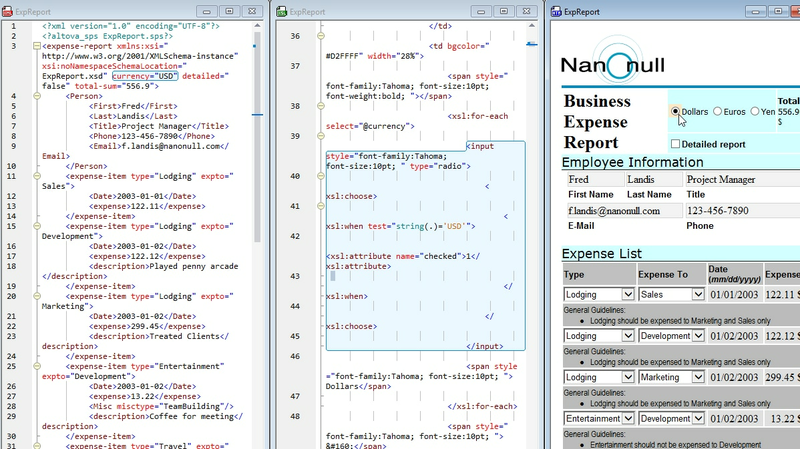 XMLSpy even includes intelligent HTML / HTML5 and CSS / CSS3 editors along with an integrated browser view. The XMLSpy XSLT profiler is an invaluable tool for optimizing the performance of your XSLT code. Based on the information revealed by the XSLT profiler, you can immediately see which parts of your XSLT code are taking the most time to process and adjust them accordingly to fully optimize your XSLT stylesheets. The XSLT profiler delivers important information for expert XSLT developers, but if you want to speed up XSLT execution time without manually changing your XSLT and XPath code, try the XSL Speed Optimizer. The XMLSpy XSL Speed Optimizer is a revolutionary approach to speeding up XSLT transformations, providing tremendous increases in throughput with no manual analysis required to determine exactly which XSLT or XPath expressions are causing bottlenecks. Because XSLT and XQuery documents are frequently long and complex, it can be difficult to identify the source of unintended output. 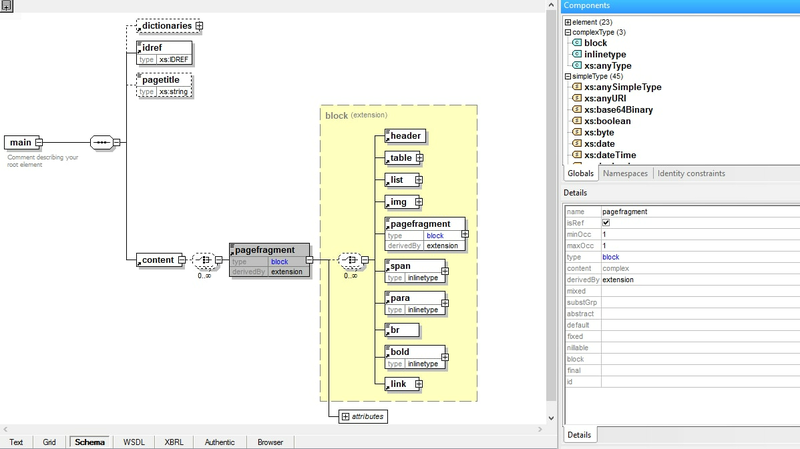 For targeted debugging, back-mapping makes it easy to immediately correlate output elements to source nodes and instructions. With back-mapping enabled, XSLT transformations and XQuery executions are carried out so that the result document can be mapped back on to the originating XSLT+XML or XQuery+XML documents. When you click on a node in the result document, the XSLT instruction and the XML source data that generated that particular result node will be highlighted. 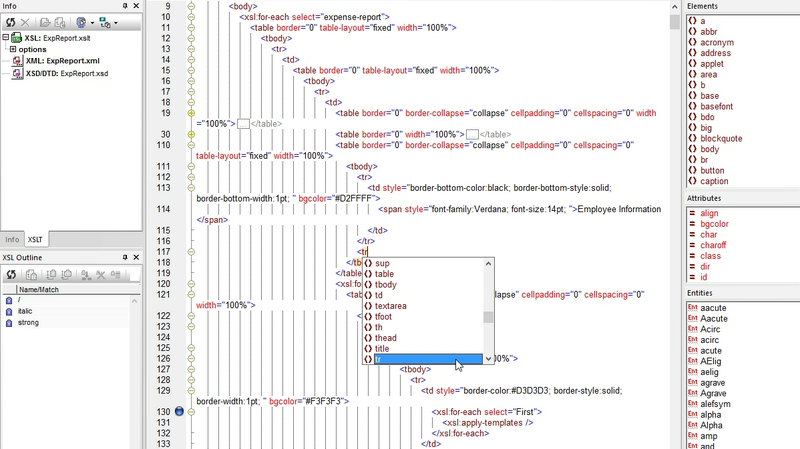 Back-mapping in XMLSpy is revolutionary in two ways. First, it saves developers considerable time in debugging, refining, and perfecting their code as well as understanding inherited code written by other team members. 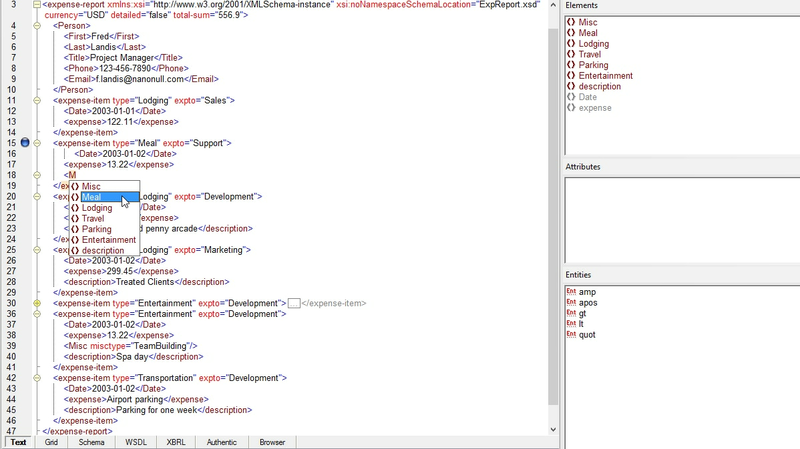 Second, XMLSpy does not make any changes or add additional code to the output document in order to achieve back-mapping.